Home » Pinpoint News » Blog » Why is trust key to drivers accepting GPS monitoring? Why is trust key to drivers accepting GPS monitoring? 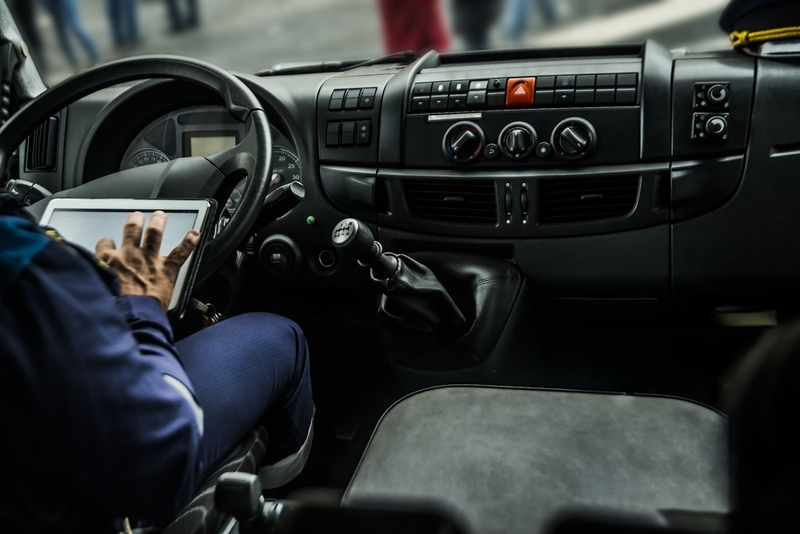 Vehicle telematics have the potential to greatly aid your fleet business - monitoring vehicle activities protects against misuse, while data recording helps improve efficiency. However, getting your drivers and other operational staff onboard with using vehicle telematics can be a challenge. Some may not understand the benefits, while others may see it as an invasion of privacy, or mark of distrust. Ensuring your drivers and other staff are aware of and trust how telematics work, their benefits and what the data will be used for is vital in using the systems to their best function - see why trust is key to drivers accepting GPS monitoring. An Edelman marketing report indicates that global trust in businesses has dropped from last year, emblematic of the need for greater trust between drivers and managers. Adding further evidence to the need for greater trust, legislation in New South Wales and Victoria states that you must make drivers aware of your use of GPS monitoring equipment. Informing drivers of your intent to use telematics is therefore a must. Getting your drivers on board with GPS telematics is easier when you are honest and demonstrate the benefits to them. Understanding why Australian drivers would not like telematics monitoring in your fleet vehicles is less about drivers having something to hide and more about a lack of understanding as to why you want to use GPS telematics at all. If you demonstrate the usefulness of having GPS logged data in improving your operations to your drivers, they will be more inclined to agree. Showing drivers that telematics will actually help them with accurate and real-time journey data will also make the proposition more appealing. Additionally, showing drivers how GPS monitoring will help log data for health and safety reasons is vital. Sixteen per cent of workers who have never been GPS monitored report they think it would be a positive experience. The Department of Infrastructure and Regional Development indicated that total freight volumes shipped by road rose by nearly 70 billion tonne kilometres between 2002-2012, indicating the rate of expansion with which freight fleets are growing in Australia. This huge growth indicates the task at hand many fleet managers have in keeping tabs on the operations of their business - so a GPS monitoring solution is ideal. Pinpoint Communications' vehicle telematics systems are a simple way of improving your fleet business, from management down to driving - and this whole-business improvement shows why trust is key to drivers accepting GPS monitoring. Your drivers have a right to know they are being monitored - indeed, T Sheets indicates that 16 per cent of workers who have never been GPS monitored report they think it would be a positive experience. Getting fleet drivers to trust using telematics is easy - with honesty and a demonstration of their benefits. For more information on using quality telematics systems, contact our customer service team today.